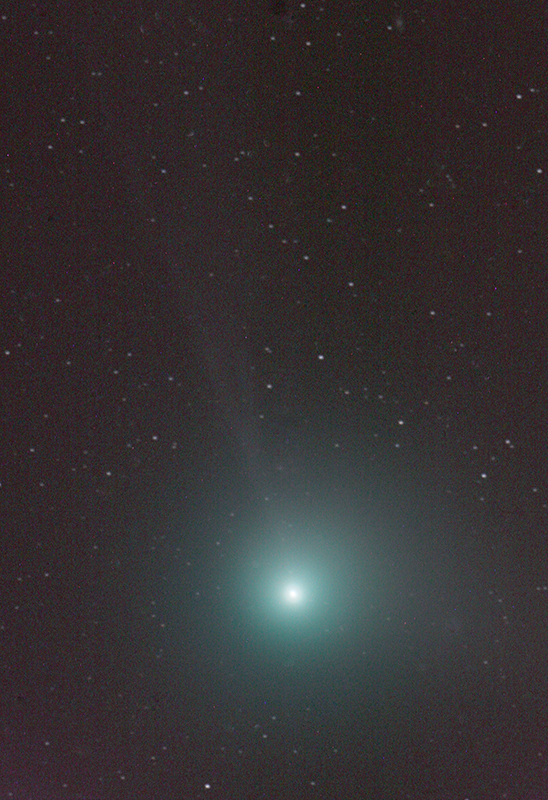 What a great comet this was! 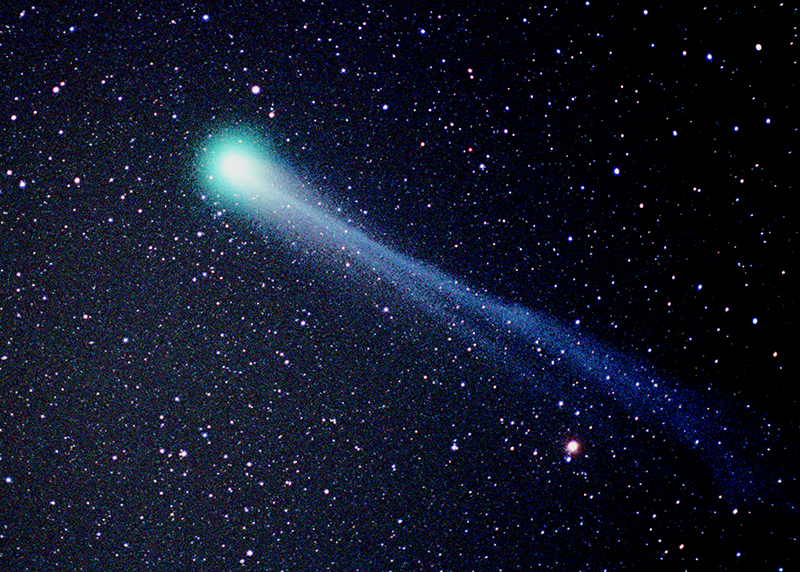 The anticipation built for many months, and this comet did not disappoint. It was massive, with pronounced dust and ion tails.Astro-Physics 155EDF, Pentax 6x7, Kodak PPF film, four minute exposure. Leica M6, 90mm lens @ f2.8, ISO 400 film, four minute exposure. Algol is the bright star in the upper left. 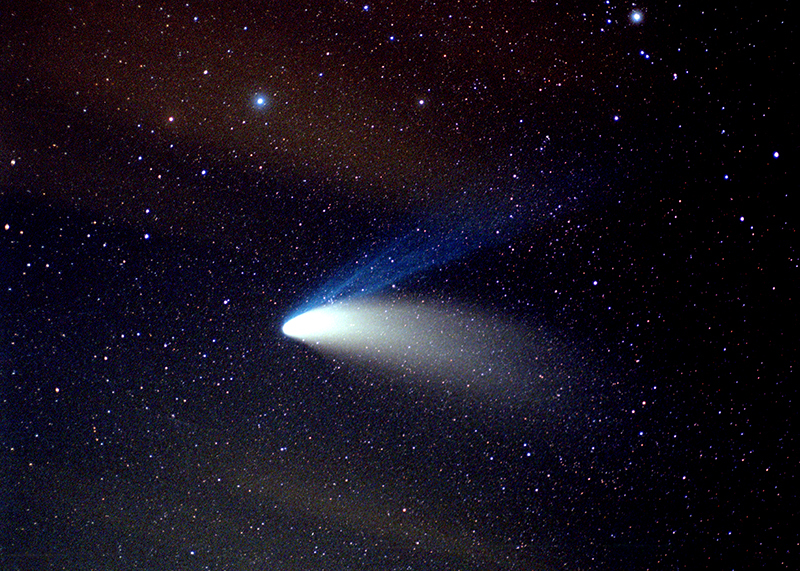 A big surprise when it appeared in 1996, this was a beautiful comet with a very long tail. My technique wasn’t too good back then, and the image is noisy. Leica M6 with 90mm lens @ f2.8, ISO 800 film, four minute exposure. 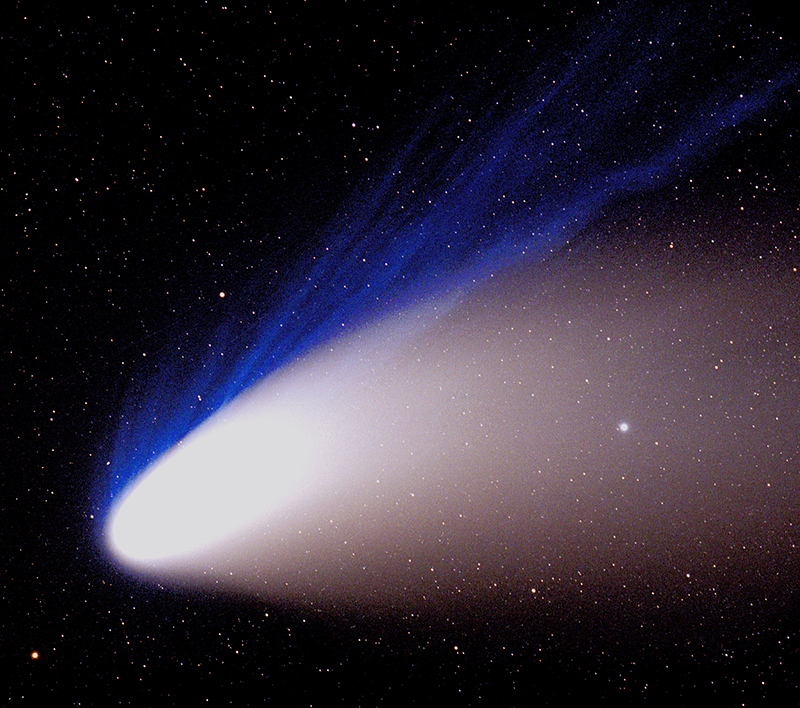 Machholz wasn’t a “great” comet, but was a nice treat during the Christmas holiday of 2004. Astro-Physics 155EDF, Canon Eos 20-D.